Casinos on St. Vincent are legal and regulated. In fact, most forms of gambling in general are legal on the islands. However, the number of actual, existing opportunities for locals are few. 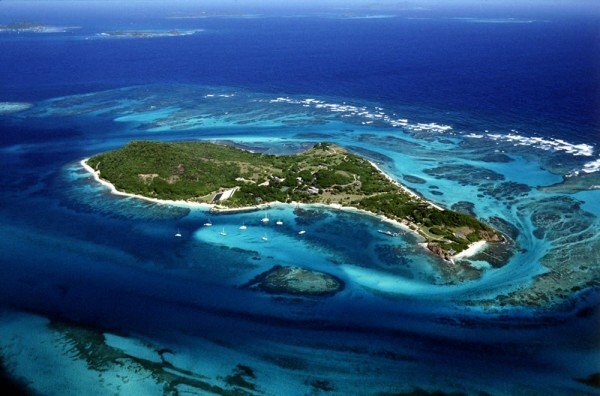 St. Vincent, officially Saint Vincent and the Grenadines, is an island country in the Lesser Antilles Island arc, in the southern portion of the Windward Islands, which lie at the southern end of the eastern border of the Caribbean Sea, where it meets the Atlantic Ocean. It consists of the island, Saint Vincent and the northern two-thirds of the Grenadines, which are a chain of smaller islands stretching south from Saint Vincent Island to Grenada. Gambling and casinos in St. Vincent are legal and licensed by the authorities. The Gambling, Lotteries and Betting Act is the relevant law pertaining to gambling operators on the islands. The law is administered by the Gaming Authority, which has the power to issue and renew gambling licenses*. It also controls and oversees the activities of casinos and the St. Vincent lottery. These two are the only legal, land based forms of gambling for players on St. Vincent, although it’s probably the size of the market, and not the legal restrictions that limits the number of operators. Online gambling don’t appear to be specifically regulated in the country. Although many Caribbean states were pioneers in legalising and licensing online gambling sites, St. Vincent doesn’t seem to have followed this course. However, no online gambling regulations mean that players are free to access any of the major foreign operators. Freedom of the press and internet freedom in St. Vincent received a score of 1.0 by Freedom House** (1 is best 7 is worst) so we have sufficient reasons to believe, that authorities do not block any foreign online gambling sites. Land based casinos are legal and regulated in the island state. There are reportedly two licensed casinos in St. Vincent. The casino sector on the islands appear to be poorly regulated. Upon request from the International Monetary Fund in 2010, St. Vincent authorities were not able to give information about the circumstances under which the permits for the two licensees were handed out*. Online gambling does not appear to be regulated at all, or if laws exist, they are not well, or rather, not at all enforced. Players from St. Vincent are, therefore free to access foreign online casinos. There is no info on whether any of the legally operating casinos on the islands have bingo tables. There is also no trace of any separate bingo halls operating in St. Vincent. Online gambling is not regulated on the islands, moreover, all gambling regulations seem to be administered in a rather laissez-faire manner in St. Vincent. Therefore it is safe to assume, that players form the country are free to access foreign online gambling sites, including bingo platforms. Poker is legal and regulated inside licensed casinos in St. Vincent, and land based casinos on the islands appear to offer poker tables to their players. Online poker – as other forms of online gambling – doesn’t seem to be specifically regulated, nor does the government block any foreign sites. Therefore it is almost certain, that locals are free to access any off-shore online poker sites. Although, it is uncertain, whether sports betting is allowed in the country or not, there appear to be no land based sports books in operation in Saint Vincent and the Grenadines. Online sports betting, on the other hand, seems to be completely unregulated. It is therefore safe to assume, that players who place bets with foreign online betting platforms are not in any way restricted by the authorities from doing so. There is no info on the legality of foreign online lotteries, but given the overall liberal nature of the gambling regulations on the islands, it is safe to assume that players form St. Vincent are, in practice, free to participate in foreign lottery draws through the internet. There don’t appear to be any regulations in place in St. Vincent restricting the use of Bitcoin or other digital currencies. Online gambling is also unregulated, therefore it is safe to assume, that players form St. Vincent are free to place bets with foreign Bitcoin casinos. St. Vincent has no specific laws on online gambling and foreign operators, or if they do, those are not enforced. Many of the major international online gambling providers accept players from the country. The following online casinos and bookmakers accept players from St. Vincent. Last updated: 2015. 11. 05. This gambling guide focuses on the legal status of the casinos, gambling and casinos in St vincent.